Today is Valentines day, which is the day of love. So,I’m sure you know my love of bacon. I even named my film review website, film bacon. Of course, I’m not the only one that shares my love for the pork product. 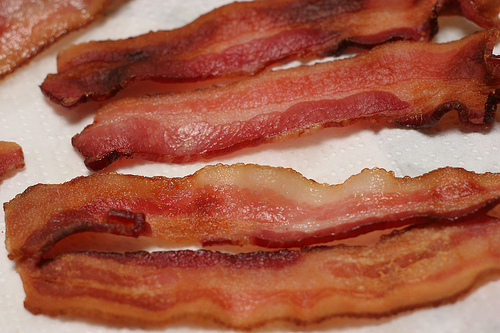 A google search for bacon will bring up several fan sites and different pork products. 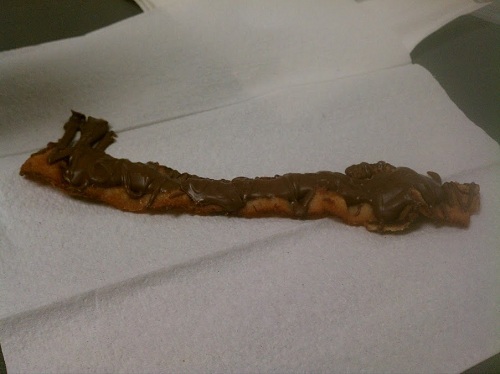 The first is Chocolate covered bacon. It’s simply bacon covered in chocolate. It’s nothing special, but this is delicious. Bacon & chocolate go great together. It’s a perfect balance of sweet and salty to make a tasty snack. I’ll have to try to dip my own sometime, now. Perhaps crumbling oreo cookies on top. It could be good, right? The second is called a “Stuffed Pancake” Cupcake. 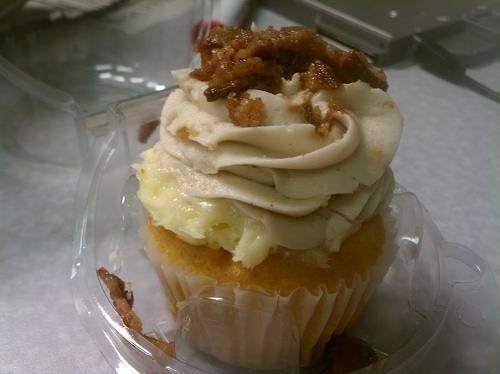 It’s vanilla cake stuffed with white chocolate mousse, maple Cinnamon Cream Cheese Frosting, and caramel bacon. Holy Crap! This one is freaking awesome! It tastes like breakfast. To me it tastes like maple & pecan waffles with bacon. I’ll definitely be getting this one again.